Mark Buckingham and Andrew Pepoy Fables: The Literals #1 Splash Page 22 Original Art (DC, 2009). The Literals are an extended family of characters who literally embody literary notions. It's also very possible that one of The Literals may have created all of the Fables, plus the universe in which they reside, unbeknownst to our beloved Fables. The full story on this enigmatic crew of characters began here, the first in a three-issue miniseries and Part Three of "The Great Fables Crossover," an epic, nine-part tale spanning the pages of Fables and Jack of Fables. The story kicks off when Jack reveals the existence of the Literals to Fabletown, and things quickly get chaotic from there. Fables don't like the idea of having a living god who can wipe them out with the stroke of a pen, and have thus decided to get rid of the Literals. Will they succeed in erasing their creator from existence, or will he literally rub them out first? The image area of this splash measures 9" x 14", and it's in Excellent condition. Signed by Andrew Pepoy in its lower right margin. 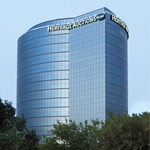 19.5% of the successful bid (minimum $14) per lot. Want to know more about this artist? 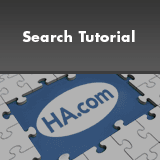 Dates, history, background, and value ranges are covered in the comprehensive new guide. Order Now! 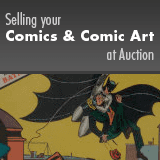 Consign to the 2019 August 1 - 3 Comics - Dallas. It was Heritage's promised professionalism that attracted us. We have not been disappointed… we are comforted that Heritage is running our show. What are my Comics & Comic Art Worth?